Yeah I finally have Internet coverage, for a little while anyway. Well here we are our fourth night on the Nullabor Plain. We were both a bit excited about this part of our adventure as we had never travelled across this vast expanse of land before and really didn't know what to expect. 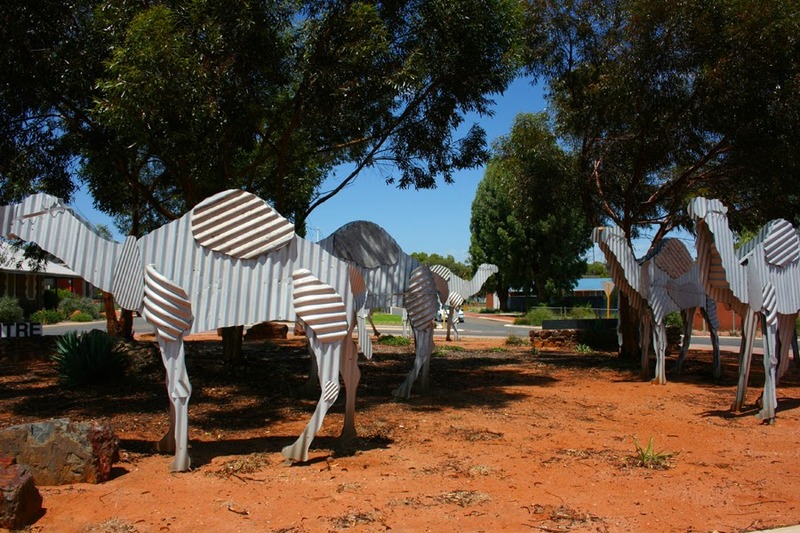 The name Nullabor was given to this area by a surveyor, E. A. Delisser back in 1867. The name came from the Latin "Nullus" and Arbor" meaning no trees. 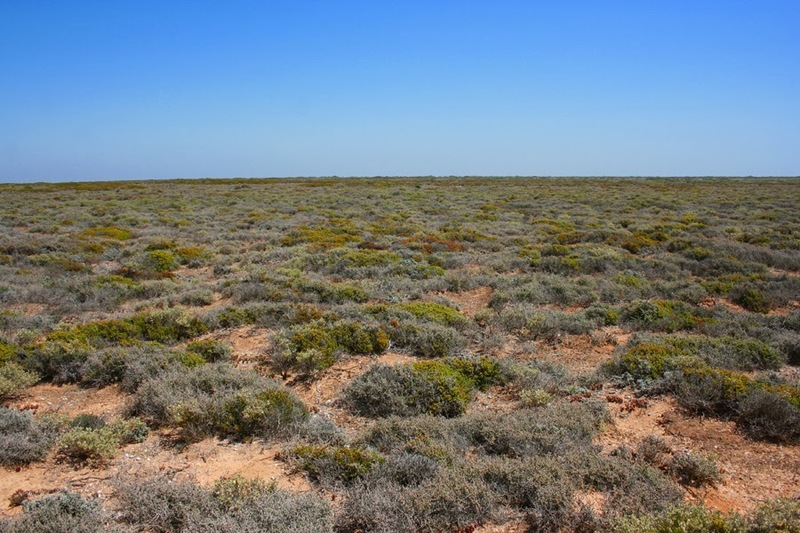 The aboriginal name for the Nullabor Plain was "Oondiri" meaning "the waterless" as the average rainfall of the areas about 8 inches per year. 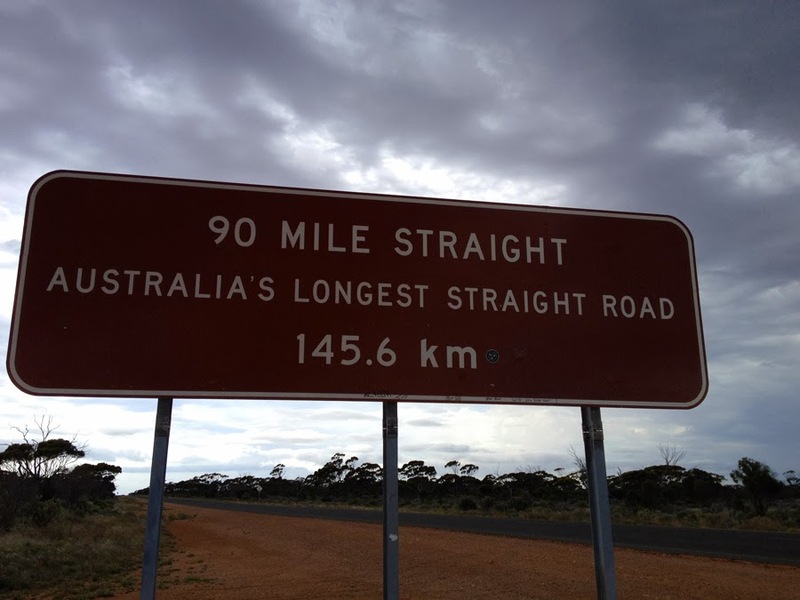 The Nullabor stretches approx. 724 kms (450 miles) from east to west and from the coast it extends 321 kms (200 miles) to the Great Victorian Desert in the North. Our first night on the Plain was spent at Fraser Range Station. 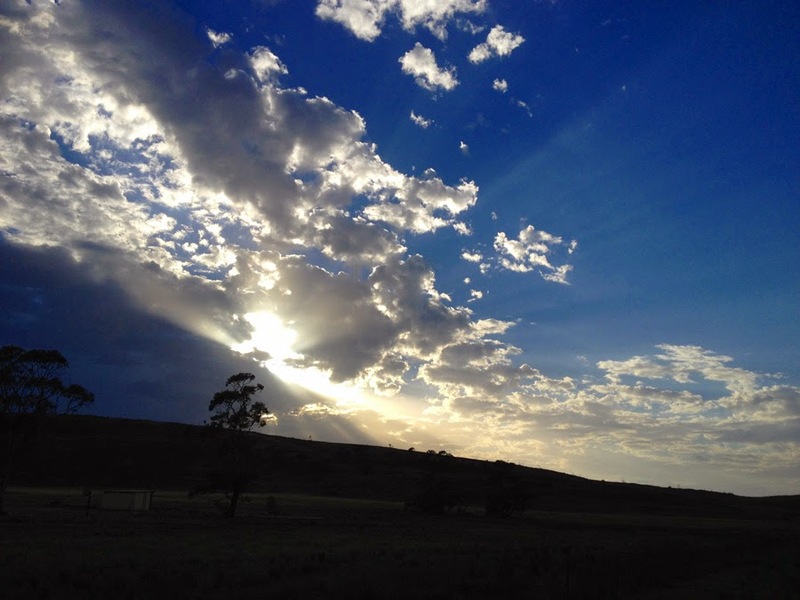 Traditionally Fraser Range has run Merino sheep, but due to the rainfall and inaccessibility of the range and Hardwood forest they are planning to run cattle in the future. We originally thought we would spend two nights here but due to the tremendous wind we decided on just one night. 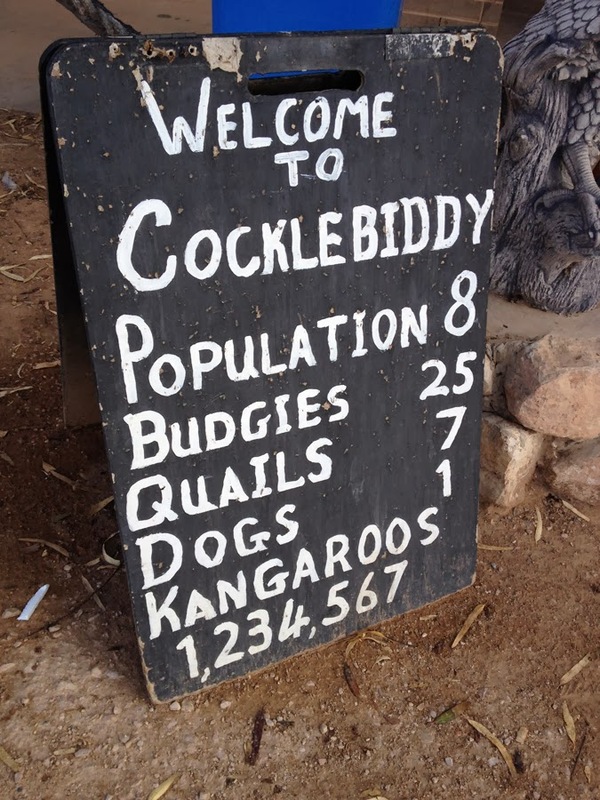 Our second night was at a Roadhouse called Cocklebiddy Wedgetail Inn. It was an OK place to stay. But what got me was that this area has it's own time zone called the Central Western Standard Time. It's the only part of Western Australia that is 45 mins different to the rest of WA. I found it very confusing not knowing what time we were WA time, Central West time or South Australia time!! We were greeted by this amusing sign.....but we didn't see one kangaroo! 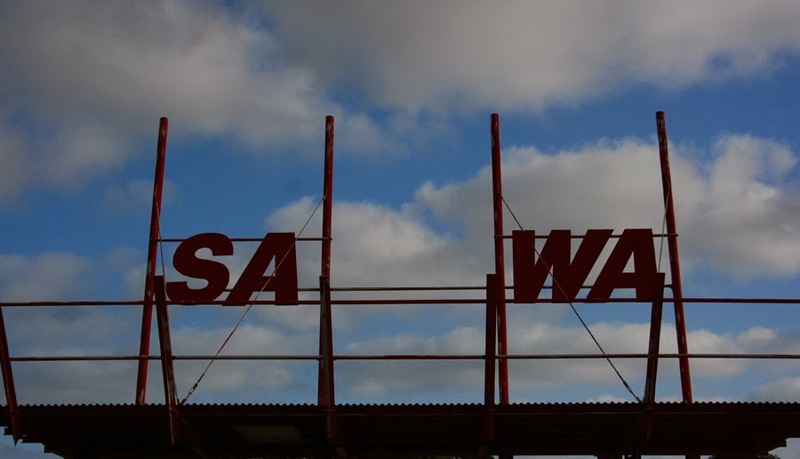 Then last night our third night was spent at the Western Australia/South Australia border. Once again it was a road house and again OK. We decided to have a meal in their bar and it was very yummy. 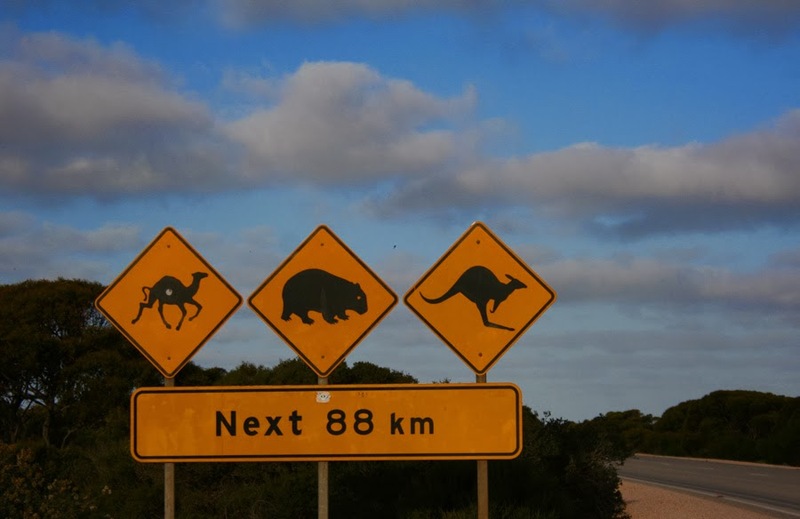 These signs are at regular intervals along the Eyre Highway. But we didn't see any camels. wombats or kangaroos....but we did see a family of Emu's that thought they would try and get across the road before I got there. I had to almost stop to let them pass. Luckily there were no other cars around. Today we hit the Nullabor Plain as I had imagined, very flat and barren. This part of it is also closer to the southern coastline so we got to view the famous Bunda Cliffs and they certainly didn't disappoint. The plain drops 90 metres into the pounding Southern Ocean. 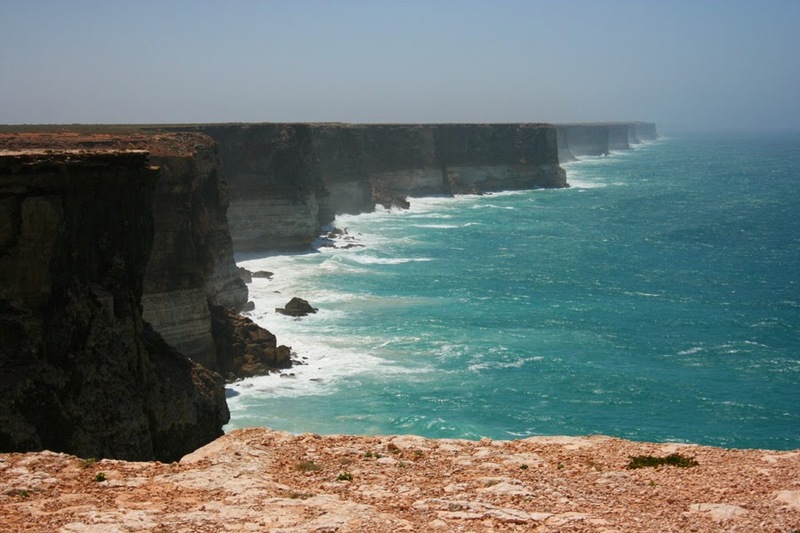 The Bunda Cliffs stretch for over 200 kms. Tonight we are staying at yet another roadhouse this time it's called the Nullabor Roadhouse. The roadhouse is pretty basic and just somewhere to lay our head, but this part of the world is amazing. The land is very flat with low growing tough vegetation and this huge expanse of glorious blue sky. I have never been in a place where there is so much sky. I am really looking forward to sitting looking at the stars tonight. 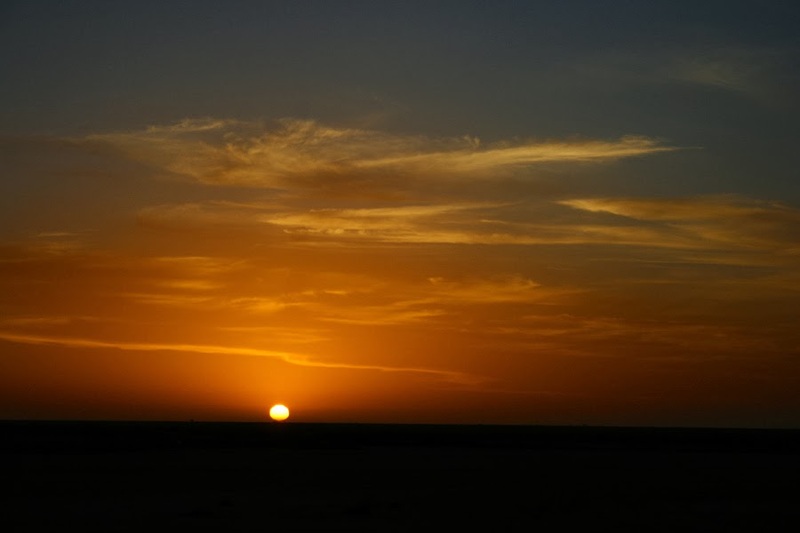 The Nullabor treated us to a spectacular sunset tonight.